He was born in humble obscurity, yet His family had to flee to save Him from a jealous ruler. He forgave sins, healed the sick and gave hope to the downhearted and oppressed, yet He was despised and rejected by many. He spoke the truth even when it was dangerous to do so. He willingly laid down His life and then rose again, conquering the power of death! 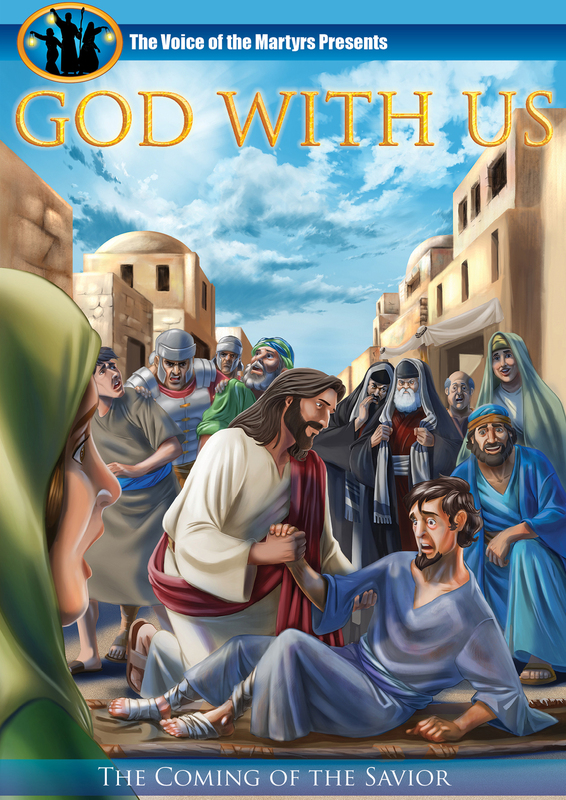 From The Voice of the Martyrs comes God with Us, formerly called Jesus: He Lived Among Us. With newly enhanced animation, it is the dramatic retelling of the life of Jesus Christ as seen through the eyes of the last surviving apostle, John. Journey with Jesus and encounter His miracles, His astonishing teaching and His unsurpassed bravery. Discover the power and love of Jesus Christ and see why His followers risked all to carry His message to the ends of the earth. Children and adults alike will be captivated by this account of Jesus' life, featuring vivid storytelling and high impact animation. Recommended for ages 7 and up. This powerful presentation will encourage and inspire viewers to follow in the footsteps of Jesus Christ, the Son of God.